Brookline’s Amy Parsons hosted a Jewish National Fund Women for Israel reception with Ifat Zamir, CEO of WePower, distinguished journalist, news editor and Israeli TV anchorwoman, who shared her vision and passion for supporting women as they aspire towards becoming Knesset members or Mayors in Israel. WePower’s strategic goals, initiated by Ifat, include electing 30 Women Mayors and 1000 Councilwomen, by developing the “I want to be an M K” program and the “College for Women in Politics.” They took legislative action to increase the number of women in the Knesset, local authorities and BODs, by forming coalitions of layleaders: mayors, Knesset members, council members in the various public sectors; thereby building a nationwide network and support platform for thousands of women who wish to reach their leadership goals. 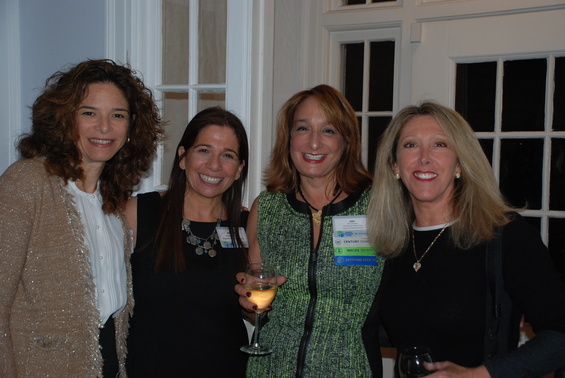 JNF’s Women for Israel is a dynamic group of female philanthropists who have a shared desire to build a prosperous future for the land and people of Israel. Benefits include invitations to local events, national conference calls with top speakers from the U.S. and Israel, and the opportunity to join a women’s only mission to Israel.